A number of physical and chemical properties are related to the sizes of the atoms, but atomic size is somewhat difficult to define. There is no precise outer boundary of an atom. The radius is one half the distance between the centers of two adjacent atoms. The radius of an atom depends on the environment in which it is found. For bonded atoms, we customarily speak of a covalent radius, ionic radius, and, in the case of metals, a metallic radius. For atoms that are not bonded together, the radius is known as the van der Waals radius. For comparison, all radii in the above table are covalent. 1. Which is the largest of the first 54 elements? 2. 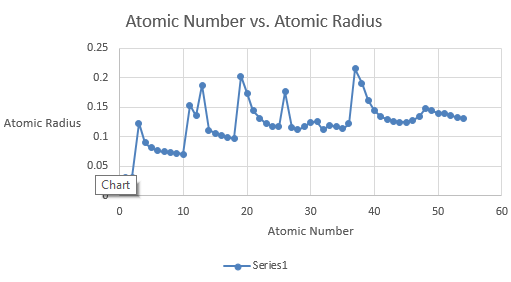 Describe how the atomic radius varies within a period and within a family. An atom gets larger as the number of electronic shells increase, the radius of atoms increases as you go down a family. 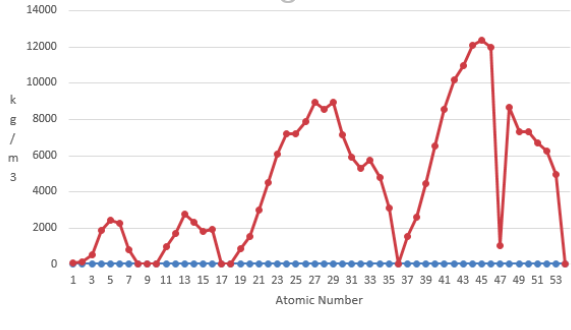 The size of an atom will decrease as you move from left to the right in a period. 4. Which group of the main group elements contains the largest elements? 5. 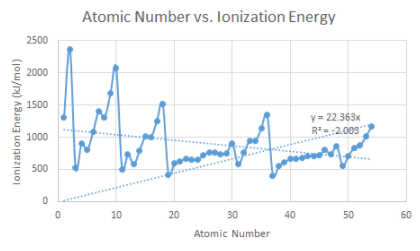 How would you explain ionization energy to your partner? b.How does the ionization energy vary within a period and within a family? Elements on the right side of the periodic table have a higher ionization energy because their valence shell is almost full. 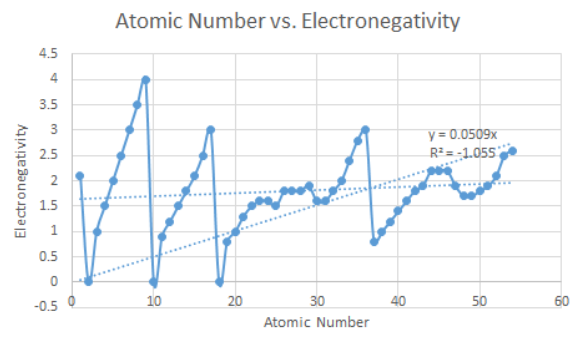 c. Which element on your graph has the strongest hold of its valence electrons? 6. (a) Write the electron configuration for chlorine. 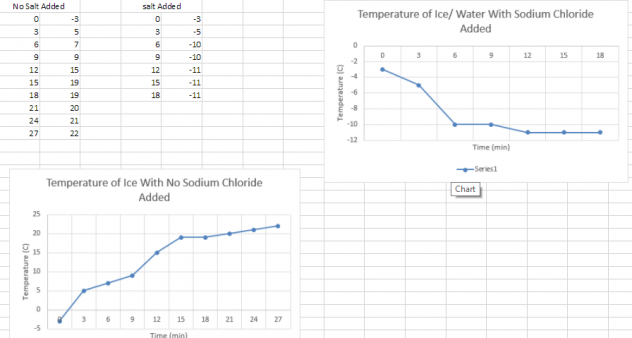 (b) Which electron is lost when 1251 kJ/mol of energy are applied to a sample of chlorine atoms? 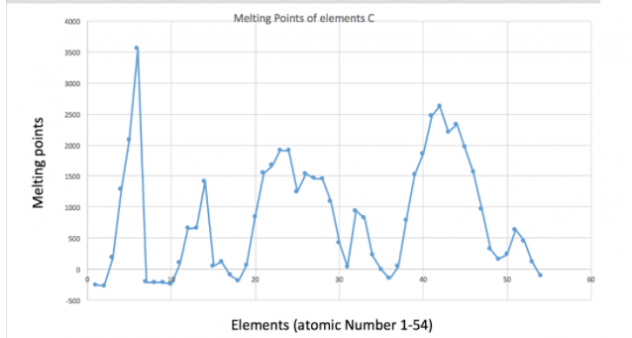 melting point and non-metals tend to have a lower melting point. metals tend to have the highest melting points. a reasonable replacement for tungsten? Why? Tungsten has a melting point of 3,422. 10. Describe how density varies within a period. Usually, density increases when you go from left to right and top to bottom. Gaseous substances will be substantially lower than solids and liquids. 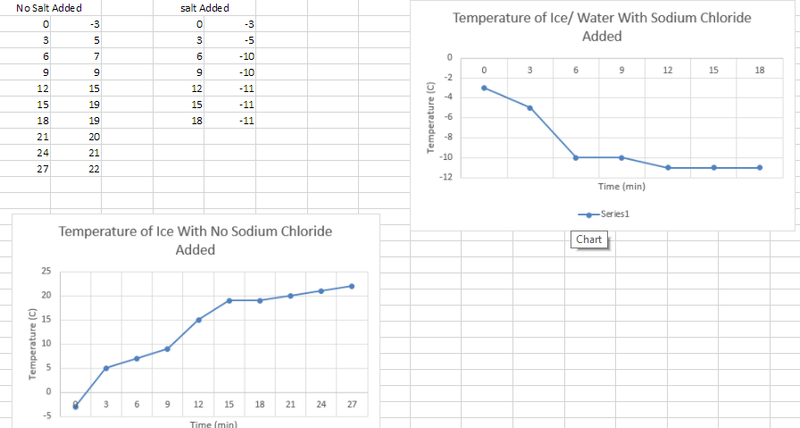 Compare the densities of the elements in the second period with the elements in the third period. The density increases as you go from left to right so the density will increase as you go from second to third period. compare with those of the elements in the main group? Transition metals have hard and high densities and elements in the main group have light and soft densities. Explain why aluminum and magnesium are more suitable than iron for use in some airplane parts. Aluminum and magnesium are light and durable whereas iron is dense and heavy. 11. Describe how electronegativity varies within a period. 12. Describe how electronegativity varies within a family.